Providing you the best range of 3 Ply Printed Corrugated Box, Shoes Corrugated Box, Corrugated Paper Box, Plain Corrugated Packaging Box, Corrugated Carton Box and Folding Corrugated Box with effective & timely delivery. Owing to the rich industrial experience and expertise in this business, we are engaged in providing 3 Ply Printed Corrugated Box. Price Range: Rs. 26 to 50 Per Piece. Due to our proficiency, we are involved in providing Shoes Corrugated Box. Our offered products are easily available in the market at a very reasonable price. Our company is the foremost in offering Corrugated Paper Box. 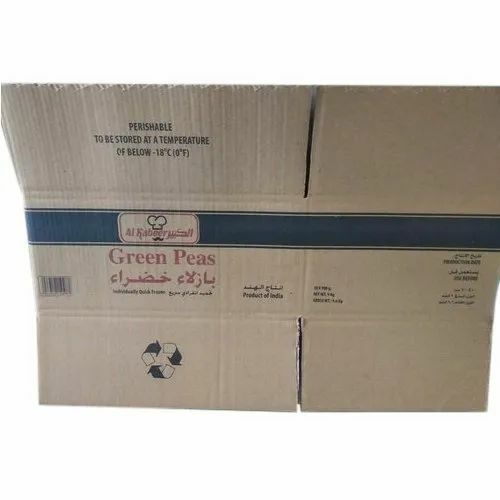 Enriched by our vast industrial experience in this business, we are involved in offering an enormous quality range of Plain Corrugated Packaging Box. As an esteemed name in the market, we are engaged in giving our customers the perfect quality collection of Corrugated Carton Box. We offer our clients an exclusive range of Folding Corrugated Box.